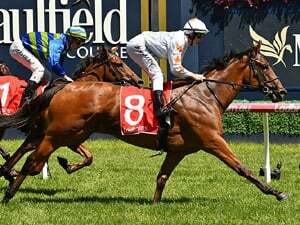 Team Rogerson is poised to make a three-pronged attack on the Gr.1 Sistema Railway (1200m) on New Year’s Day after Gift Of Power started off a big day on Saturday for her breeders and part-owners, Sir Patrick and Justine, Lady Hogan. The speedy Gift Of Power confirmed her place in the Railway squad with her runaway win at Awapuni on Saturday, joining stablemates Ferrando and Volks Lightning for a tilt at Ellerslie’s major sprint. Gift Of Power trounced her four rivals in the Plumbing World Handicap (1200m) to win by 10 and a half lengths in the hands of Lisa Allpress, easily smashing the 1200m track record in a remarkable 1:07.46, the final 600m in 33.39. “She’s a very quick filly. 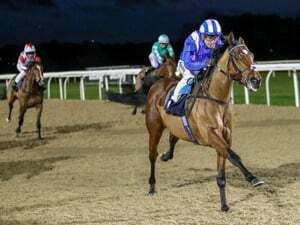 She’s got so much speed and she showed that,” Graeme Rogerson said. “Her work had been sensational and I wasn’t surprised to see her do that. 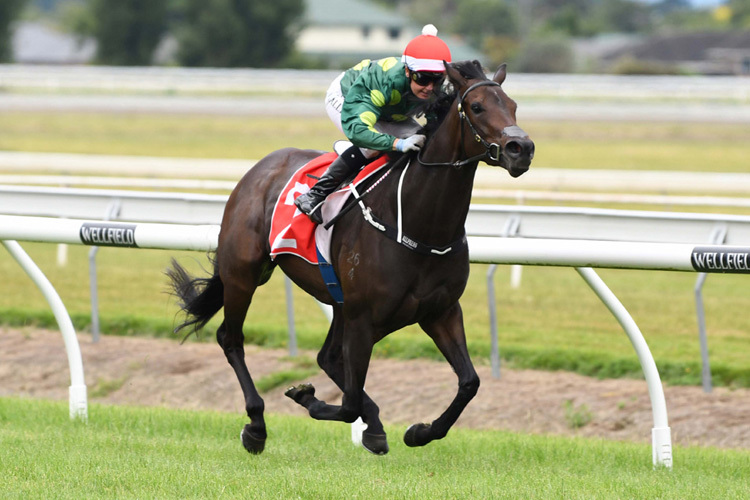 Gift of Power, who has won 10 of her 19 starts, is being set for her main target of the summer, the Gr.1 JR & N Berkett Telegraph (1200m) at Trentham next month. All of Gift Of Power’s 10 wins have been left-handed and she has been kept to left-handed racing in each of her last seven starts since she finished third to Melody Belle in the Gr.3 Mongolian Khan Trophy (1200m) on the right-handed Ellerslie course 11 months ago. Gift Of Power gets into the Railway on 53.5kg, 0.5kg less than Volks Lightning while Ferrando is weighted at 55.5kg. Ferrando has been freshened since finishing sixth in the Gr.3 Stewards Stakes (1200m) at Riccarton and shaped nicely when winning over 1000m at last week’s Te Aroha trials. “His time for the 1000m was faster than Melody Belle ran and he did it easily,” Rogerson said. 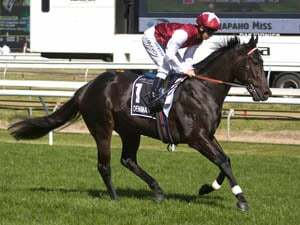 Ferrando was scratched from last season’s Sistema Railway when heavy rain caused a downgrading which led to the abandonment of the final race. Volks Lightning finished third behind Volpe Veloce in last season’s Railway and she won the Gr.3 Sweynesse Stakes (1215m) at Rotorua before finishing fifth to Princess Kereru at Ellerslie earlier this month. A half-brother by Tavistock to Gift Of Power will be offered in Brendan and Jo Lindsay’s Cambridge Stud draft in Book 1 at the upcoming National Yearling Sales at Karaka. Nigel Tiley has no expectation that he can repeat his Gr.2 Manco Easter Handicap (1600m) win of last year, despite having twice the hand in Saturday's Ellerslie feature. The Graham and Michael Eade-trained Orepuki Lad has taken out two southern cups this season and the Riverton galloper is being set to add another to the mantle when he contests his home cup on Saturday.